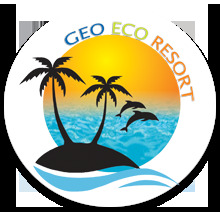 Geo Hospitality And Tours Pvt. Ltd.
Geo Hospitality And Tours Pvt. Ltd. is a keen and innovative tourist facilitator operating from its headquarters at 3rd Floor BMC Keshari Mall, Unit-2, Market Building BHUBANESWAR-751001, ORISSA, INDIA are proud to be amongst the top few tour operators in the state whose objectives have been to promote a genuinely broad based tourism including conventional and non-conventional ones. Geo Hospitality And Tours Pvt. Ltd. has developed a well framed out analytical network to promote tourism in domestic and international sectors. It has developed a splendid database offering attractive and alternative packages for inbound and outbound tours. It has also developed a marvelous product knowledge base with its team of experts on various fields. In order to promote tourism and its allied activities as per Geo Travels directives, Geo Hospitality And Tours Pvt. Ltd.. tries to expand its horizons of business through its World Wide Network.